An electrical injury neurological complication – What it means suffering an electrical injury in Maryland? The first case of electrical injury was recorded in 1746, after the discovery of electrical phenomenon, when two Dutchmen got injured by the discharge of a Leyden jar. Since then, the world started to revolve around electricity. Today electricity is everywhere, and if you are negligent, you could electrocute yourself and suffer electrical injury neurological complications. But a big part of electrocutions is not the result of negligence, but due to defective products, or spontaneous discharges. 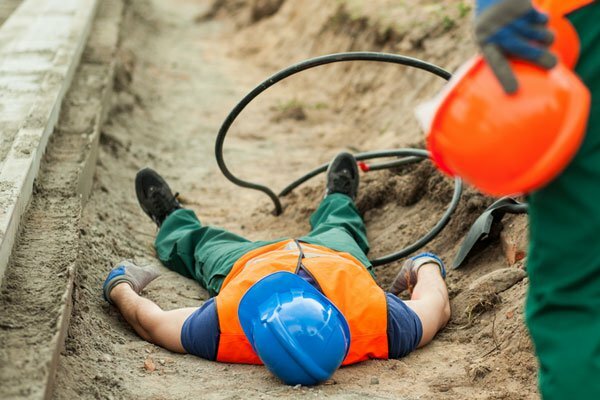 If such an incident happens to you, a personal injury lawyer from Maryland can help you receive the compensation you need for your electrical injury recovery. The human body can conduct electricity very well. Because of that, electricity can pass extremely quickly throughout the body. Electricity can affect any organ, especially the neurological elements. Neurological complications are recognized to cause peripheral neuropathy, seizures, and central nervous system disorders. What is worse, it that the neurological sequelae resulted from an electrical injury can present themselves after a few years since the incident. The neurological sequelae resulted from an electrical accident can be immediate (permanent or temporary), delayed (up to a few years) or progressive. It is possible for a person not to suffer any sequelae after the first electrical incident, but to experience extensive neurological complications after the secondary electrical injury in Maryland. The accidental contact with an exposed part of electrical wiring can cause severe burns, neurological problems, heart problems, or even death. Children usually suffer from electrocution because they chew or bite on electrical cords, or they stick metal objects into an electrical outlet. If you have kids, stay alerted and try to prevent your child from electrocuting themselves. Suffering an electrical injury in Maryland could prove to be fatal. That is why you should be very careful when handling electrical equipment. If you did suffer an electrocution, you could contact an Annapolis injury lawyer and determine who is liable for your accident. Sometimes, the electrical injury recovery could prove to be difficult without the help of an Annapolis injury attorney. Depending on the severity of the electrical injury, the symptoms could vary from a little tingling in the nerves to extensive burns and trauma to the nervous system. But indifferent if you suffered minor injuries or significant ones, you should remain under observation because the current could disturb your cardiac rhythm, potentially causing cardiac arrest, chest pains, loss of consciousness, and many others. If you suffered an electrical injury, after getting emergency care, contact your Annapolis injury attorney and ask them what you should do. To prove the extent of your injury you need to have some documents from the emergency care unit. Your Annapolis injury lawyer will explain to you what you need and how the recovery process will go. Contact the best personal injury lawyer in Maryland at (443) 569-3950 or by email: [email protected] for a free consultation of your case.